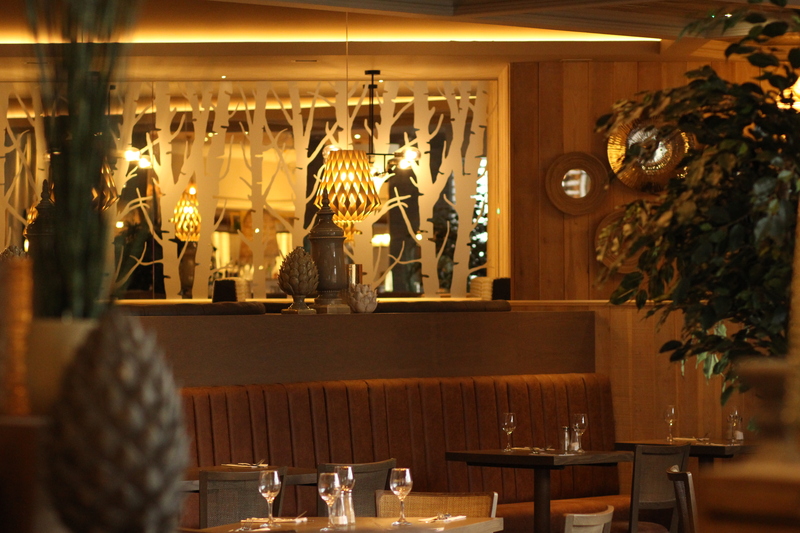 The Riverside Bar & Grill brings a modern, contemporary yes classic dining experience to the incredible Ayrshire food scene. The all new Bar & Grill boasts large, open spaces, flooded with natural light where the relaxed, informal bar with a mixture of booth seating and high top bar tables, flat screen TVs and comfortable seating area flows beautifully into the welcoming restaurant area. With large banquette seating, private booths and a mixture of intimate tables of two, to large party seating options are available. As you walk through the are you’ll notice our dedication to fine wine and food as the space is lit up with our fabulous wine wall. With a superb selection of carefully selected wines our friendly and dedicated staff can talk you through the best match for your dining experience. Polished brass features are softened by natural greenery and large mirrored walls spread the natural light around the room, giving a sense of relaxed space where design and detail is only outmatched by service. Soft, earthy tones envelop you as you feel comfortable and relaxed, whatever the occasion. Whether it be a burger and a beer, or a celebratory three course treat, The Riverside Bar and Grill lends itself to any occasion. Of One Mind Says Slange Var! Business Works Glasgow – Opening Spring 19! Of One Mind specialise in product launches, venue events, private parties and brand partnerships & hospitality management. © Of One Mind Ltd.